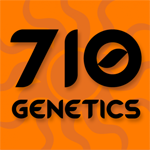 710 Genetics - 710 Mango. Free US delivery. 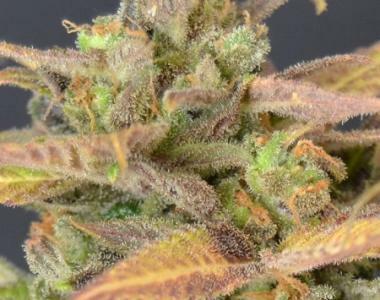 This indica dominant multiple hybrid Jack Herer with Big Skunk Korean is one of the fruitiest of strains. The plant produces a moderate to high yield and flowering finishes in 49 days but can continue to flower up to 60 days. 710 Mango is optimal as a multiple branch plant, since its genetics encourage long side branches and a height on the taller sided. As it matures the leaves shade to purple and the buds become covered in a sea of crystals. The fragrant and tasty 710 Mango delivers a strong buzz that is extremely uplifting, mentally stimulating and chatty.